The 2016 AMZ Grimsel Electric Race Car is one of the fastest cars in the world. The auto made big headlines worldwide with a 0-60 MPH time of just 1.5 seconds. 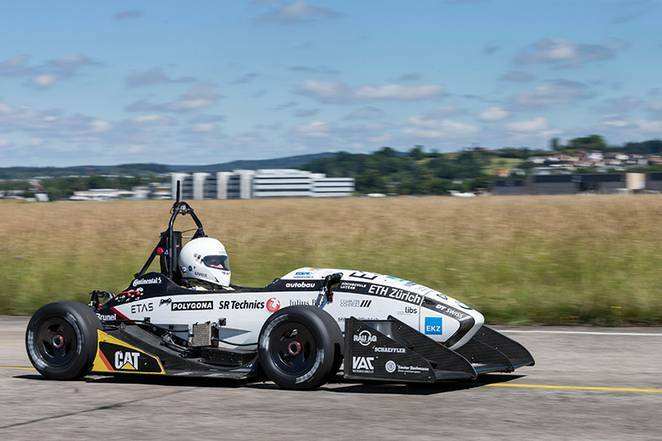 The small car is made of carbon fiber, uses an onboard computer to control each individual wheel, and was made for the Formula Student Competition (Formula SAE). Each of the wheels is powered by a specifically designed wheel hub motor capable of generating 200 horsepower and 1700 Nm of torque. The traction control system used by the auto also regulates each individual wheel’s performance to result in the optimum performance (and speed) demonstrated on the track by the car.